As I promised in my last entry, I did an interview over the Internet with NYOI’s musical director Paul MacAlindin, from Scotland and now living in Cologne, Germany. – Mr. MacAlindin, how has the NYOI’s music improved academically since the orchestra’s founding? 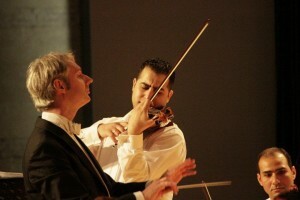 Paul MacAlindin: Arab, Kurdish and classical music have systems that need to be internalized before you can really connect your soul with sound. The war and a generally negative perception of the arts has kept people from learning those systems. However, no one can prevent that part of the human brain which exists only to make music from finding a way to express itself. So young Iraqis have found their way intuitively to making music through difficult times. Music has become a comfort, a barrier against the chaos and violence. The Internet has replaced teachers. 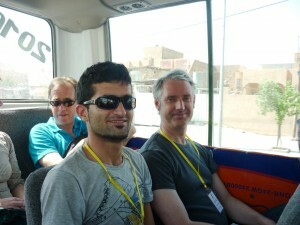 NYOI brings teachers into Iraq to coach young players. We do this in a very intense course, which shows players what’s possible when they are given a chance. Those teachers who left Iraq during the invasion may never come back, but we have given those that are courageous enough to stay hope that they can get real support, now and in future. Sustained conflict conditions people to be helpless, afraid and focused on survival, even when war is over. NYOI players and friends have set up their own projects to start challenging that mentality, and learn empowerment. 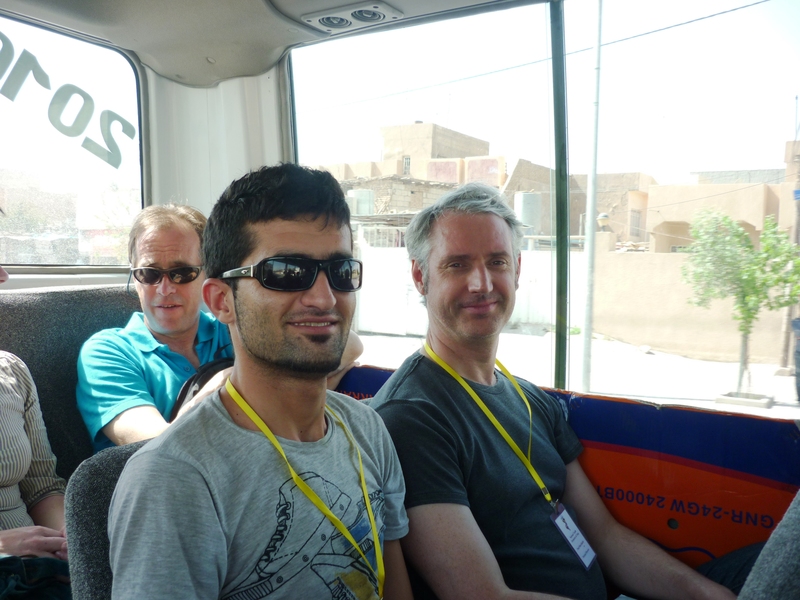 I believe that some of the current good practice in Iraq is directly and indirectly inspired by NYOI courses. NYOI players are already teaching what they’ve learnt from our tutors. 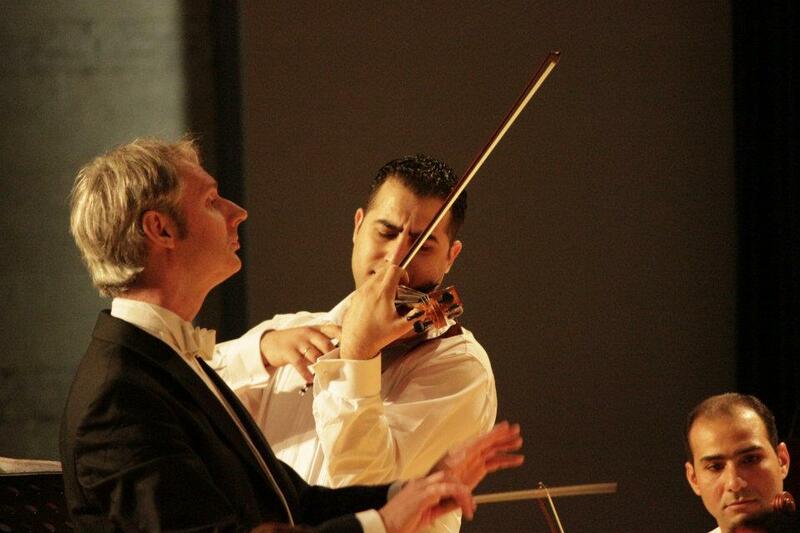 – What needs to be done or to be changed in the Iraqi musical schools? Simply, a respectful dialogue with musicians outside Iraq; perhaps allowing a young teacher to come and work there for 6 months, or a visiting ensemble to be allowed to do a short residency. Fundamentally, music brings people together. That can only happen when people feel safe enough to do so, and when they do, they create demand for more performances and better teaching. Only then can musicians discuss what they need, and who to work with. At the heart of every musician’s success is mobility, and whether going to the next village or the next continent, is absolutely necessary. – What sounds strange when you try to make room for classical music inside people’s minds in the East? And how difficult is that at this moment? If we’re discussing orchestral music, that’s easy because it’s already everywhere: film sound tracks, advertisements, hotel foyers, pop music all over the world. Kurdish and Arab music continually mixes clarinets, violins, cellos, flutes with traditional instruments, creating mixed orchestras. Do people really want to listen to a whole concert of orchestral music in silence? A lot of people in the West can’t even do that. But again, live music of all kinds, traditional or orchestral, brings people together, and doing so again and again creates the fabric of society, creating emotions and ideas instead of conflict. – What you would like to say in closing? A friend of mine, Sir Peter Maxwell Davies, who wrote NYOI a piece last year, said that a place doesn’t really exist if no one is performing music about it. The choice is to continue living in fear, half alive, or to allow your home to flourish with music. Click here to head to the NYOI YouTube Channel.